HOW MUCH IS A WEDDING PHOTOGRAPHER IN PALM BEACH? When considering getting married, one of the most important aspects of your wedding day is the photography. Wedding Photography is typically 10%-15% of your total wedding planning budget, if you are looking for a truly professional wedding photography. How much a wedding photographer costs depends on a variety of factors, so I will touch on the main factors that influence the cost of wedding photography. As one of the best independently rated award winning wedding photographers in the United States, based in Fort Lauderdale Florida since 2008, we are experts on the subject of wedding photography cost and photograph the majority of weddings that take place in Palm Beach. Many couples will question why we charge what looks like an arm and a leg for wedding photography, yet don't consider wedding photography an extremely specialized form of photography that is extremely expensive to operate as a photographer. 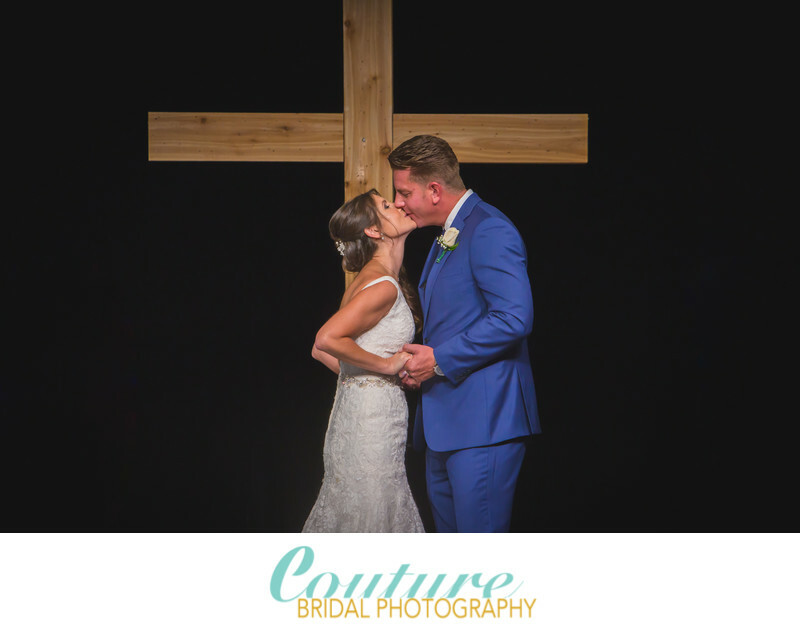 One of the main factors to how much a wedding photographer in Palm Beach will charge to photograph your wedding is their experience and skill. The experience a photographer has takes thousands of hours of practice, attending seminars, and dedication to evolving and learning an art form. The best wedding photographers in palm Beach have photographed well over 400 weddings in a variety of lighting and environmental conditions to provide you with the ultimate wedding photography experience on your Palm Beach Wedding. Here at Couture Bridal Photography, it isn't uncommon to spend any downtime practicing using stuffed animals to perfect exposures using artificial lighting and practicing composition. We also spend time hiring models for stylized shoots to work on posing that gets carried over on your wedding day. This practice comes at a cost of wear and tear on equipment, travel, location fees and time planning. You should hire professional wedding photographers that are confident and invest the time to practice their art form, so you have the best wedding photography experience during your Palm Beach Wedding day. A big expense for a wedding photographer is cameras and lenses. Professional Photographers want the best cameras and lenses that provide extreme low-light sensitivity, sharpness and speed. These cameras whether Canon, Nikon, Sony and Pentax are high performance machines and required by professional wedding photographers in Palm Beach. Lenses are extremely expensive and provide the ability for your photographer to create amazing images in low-light, tight quarters and keep a distance during your wedding ceremony, as to not distract your guests. Wedding Photographers in Palm Beach will typically have two cameras to help keep the action going with two different lenses and as a back up if a camera fails. Professional Wedding Photographers in Palm Beach are insured! how much a wedding photographer in Palm Beach will charge to photograph your wedding is their experience and skill Most wedding venues in Palm Beach require Wedding Photographers to have one million dollar general liability insurance policy and a valid certificate of insurance and liability with the venue as the named insured before your wedding day. A venue that doesn't receive your photographers insurance certificate, Will not let them photograph your wedding. As a side note there is no licensing by the State of Florida for Wedding Photographers and if they do not provide you with a tangible then they shouldn't be charging you tax. Even Wedding Planners shouldn't be collecting tax on their services, since no tangibles are being exchanged. The second most expense a wedding photographer in Palm Beach will have is their computers, software, digital storage and website. A good question to ask a potential wedding photographer you are considering for your wedding day photography is how and what they edit their photos on. Amateur photographers will be using laptops with small screens that aren't color calibrated and at the worst aren't even working on an IPS monitor. LCD and LED monitors which are found on low end laptops or cheap computer screens aren't color accurate and extremely difficult to color calibrate leaving photos dull with inaccurate coloring and poor details. The other important and expensive aspect of being a high end wedding photographer is having the proper software such as Lightroom and Photo shop for editing images. Many low cost wedding photographers don't charge enough to afford the latest software, short changing clients with poor quality images. the final expense a wedding photographer has to contend with is storage and back up of images. Hard drives are expensive when you approach 4-8TB of storage and require multiple drives not including off location cloud storage as additional back up to multiple disk drives. I am fortunate that I have a firm understanding of Search engine Optimization and Website design. This is where I am able to pass on savings to my brides and grooms. 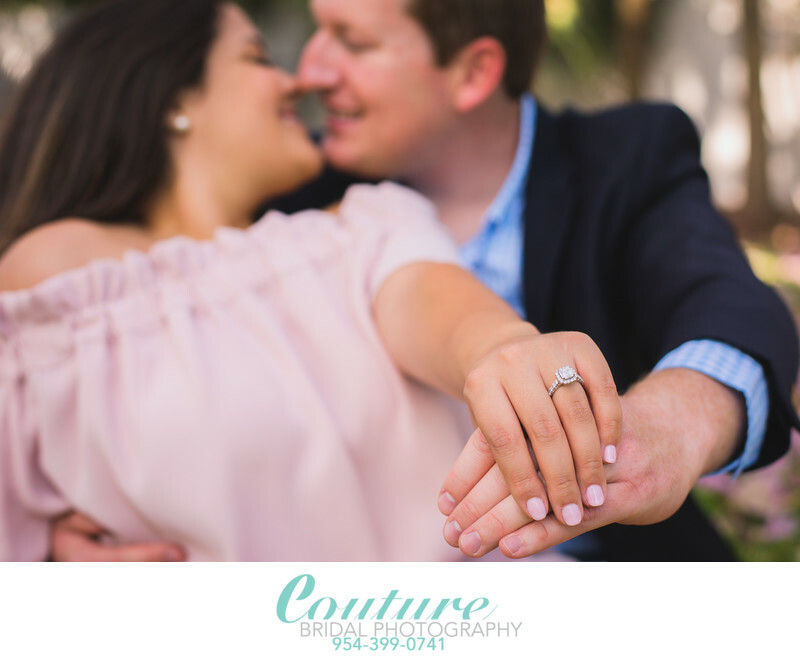 As an expert in SEO, I am able to market Couture Bridal Photography organically, which allows me to be a bargain compared to other Photographers in Palm Beach. Advertising and marketing via Google, Social Media and in print can be quite expensive. Photographers charging very little for providing wedding photography services doesn't allow them to photography many weddings, hence the lack of experience. Wedding Photography Marketing, Advertising and web design can be very expensive and it the main revenue stream for wedding photographers in Palm Beach. One of the biggest budget items a photographer will have is a studio or office space. Some photographers believe a photography studio or office will make them appear more professional, but don't be fooled. I know a wedding photographer in Deerfield Beach, who I won't mention that spends a lot of money on rent for a fancy office in a shopping plaza. His cost of operating his photography business is extremely high, yet he feels it makes him professional. The problem is he used extremely old cameras, lens and lighting equipment and skimps on computers, monitors and storage. He also has to offer his photography extremely cheap in order to pay rent and utilities. As a result his photography isn't that great and his photo editing is poor. Budget brides desperate and shopping based on price alone without high expectations are his main and only clientele. I am a boutique luxury Wedding Photographer in Palm Beach and meet my clients at their homes to show my albums, prints and photos using a Macbook pro. This personalized service allows for a relaxed meeting without pressure and a relationship is started with my brides and grooms. Additionally, I can meet with my clientele when it's most convenient for them in their place of comfort. This also allows me to pass on further savings to brides and grooms that book me for their Palm Beach Weddings. 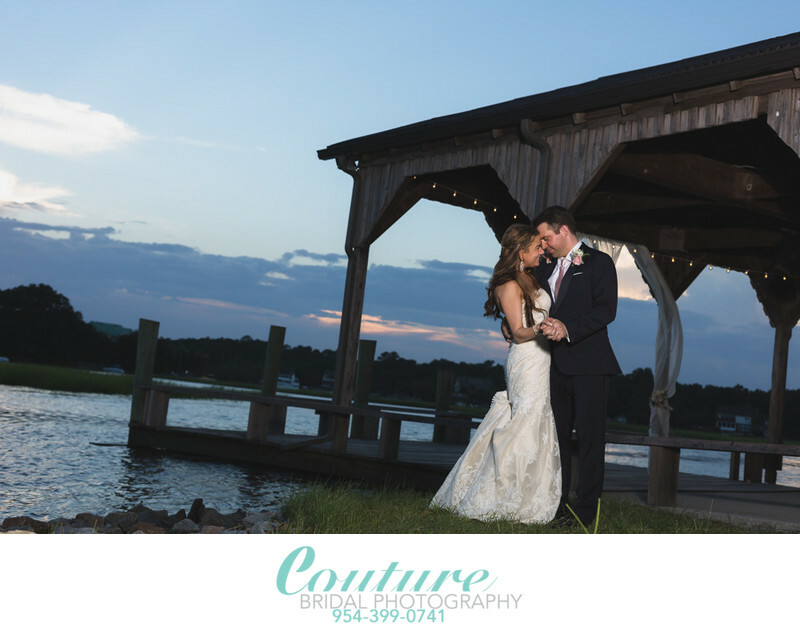 Hiring Couture Bridal Photography is the best decision a bride and groom can make for their wedding at any Palm Beach Wedding venue. We offer the most complete professional wedding photography, edit on the latest professional photography software and computers and have the latest photo gear for the most spectacular wedding images. We are the most sought after wedding photography studio in Palm Beach, so we have the experience, confidence and skill to photograph a wedding anywhere and are fully insured up to one million dollars to work in any wedding venue in Palm Beach. As the most professional wedding photography studio in Palm Beach with the best wedding photography equipment and tools, we've been rated among the best Wedding Photographers in Florida. We are independently rated among the best wedding photography vendors in Fort Lauderdale, top 20 in South Florida and among the best two wedding photographers in Palm Beach. My Couture Bridal Photography team and I are the best bargain in Wedding photography because we invest in the best for amazing wedding photography with our elegant, romantic and timeless style but save on unnecessary expensive to pass the savings on to our brides and grooms. 1/125; f/6.3; ISO 2000; 200.0 mm.